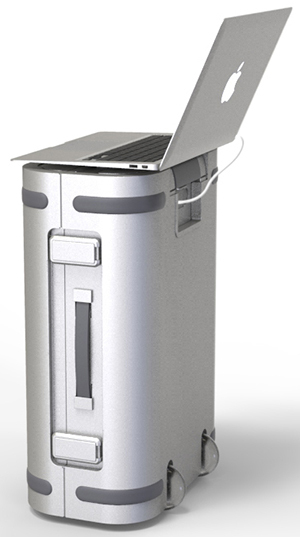 A SMART SUITCASE is a suitcase that has built-in electronics for one or more purposes. Examples are USB charging ports, a built-in scale or TSA-approved lock, as well as the ability to transmit its location via GPS and cellular. 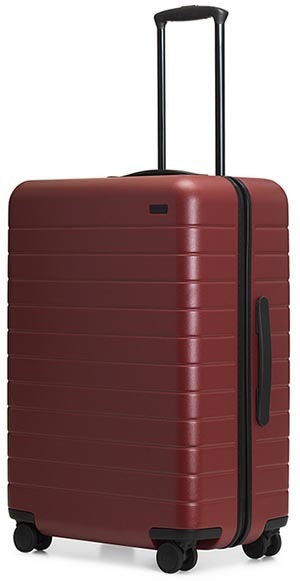 16 Smart Luggage Options That Will Transform Your Travel Experience - Travel + Leisure. Airlines are banning this type of smart luggage - The Sun. Airlines Ban Smart Luggage! 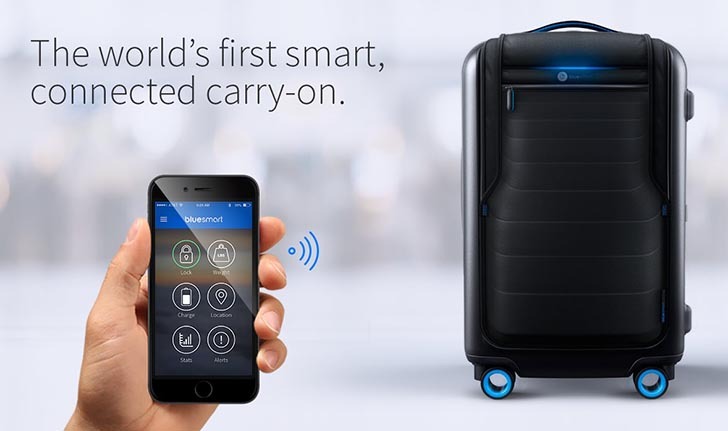 Wait, What's Smart Luggage? - HoustonPress. AWAY CARRY-ON REVIEW - Wired. 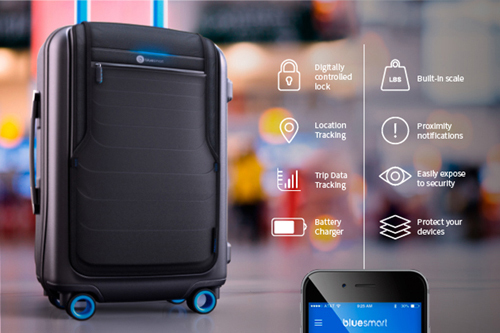 Do you need a smart suitcase? 5 things to know before you buy - TechRepublic. 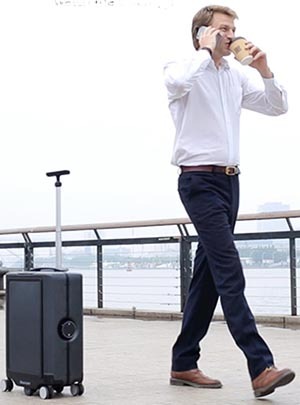 I thought I knew the future of luggage, but then I saw this suitcase that follows you around - The Verge. IATA Guidance on Smart Baggage with integrated lithium batteries - IATA. 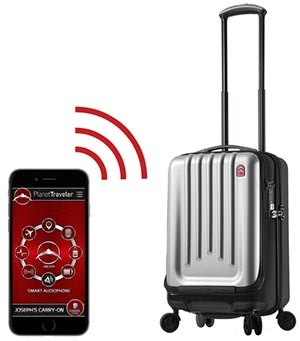 'Smart' luggage could be banned over fire safety fears - The Telegraph. We Tested Out All the Smart Suitcases - Here's the Best One - MyDomaine. 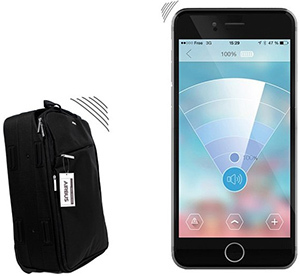 AIRBUS - "Connect your luggages to your smartphone with integrated bluetooth technology and APPS: Track and Find location until 30 / 50 meters distance; Anti lost alarm : Lost location history, if the connection is broken a pushpin will appear on the map." Arlo Skye Carry-On - "Luggage for the design obsessed." 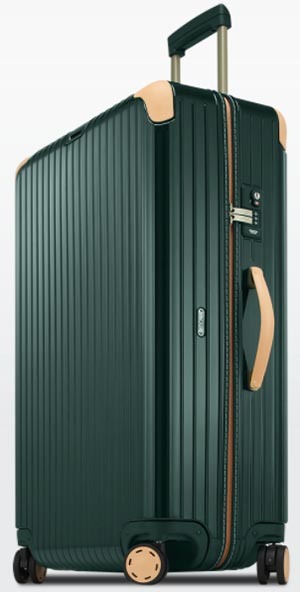 Former Louis Vuitton & TUMI execs create the perfect Carry-On in anodized aluminum-magnesium alloy. It opens with 1 touch and it charges your phone. Meet the perfect carry-on with no finnicky outer zippers, TSA-approved combination locks, an anti-odor lining, compression straps, whisper quiet wheels, and a built-in fast charger that's removable with one click. Away - since 2015. "Travel in good company." The foundation of any travel uniform, sized to carry onto or check on any flight. Getting Away means getting more out of every trip to come. That’s the idea, and the mission, behind everything we do. Raden - "Sleek Design. Portable Battery. 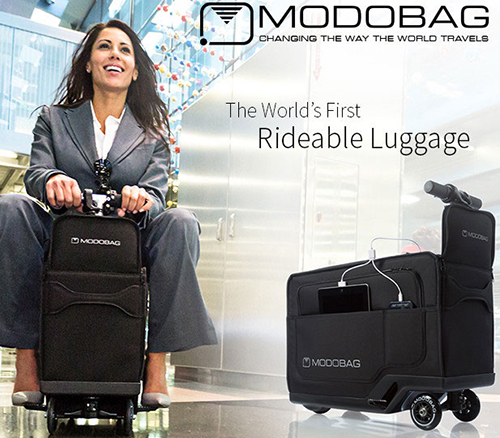 Smartest Luggage Ever." Luggage unlike any other. 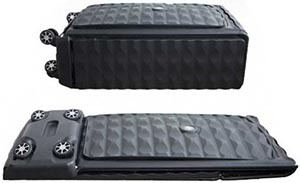 The ONLY smart luggage with a TSA approved removable battery." RIMOWA Electronic Tag - Germany since 1898. "The First Digital Check-In Solution For Your Luggage". 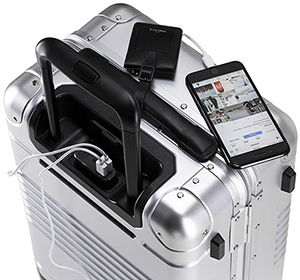 Once again, RIMOWA fundamentally redefines travel: With the RIMOWA Electronic Tag, travellers will be able to check-in their luggage from anywhere and drop it off at the airport within seconds.